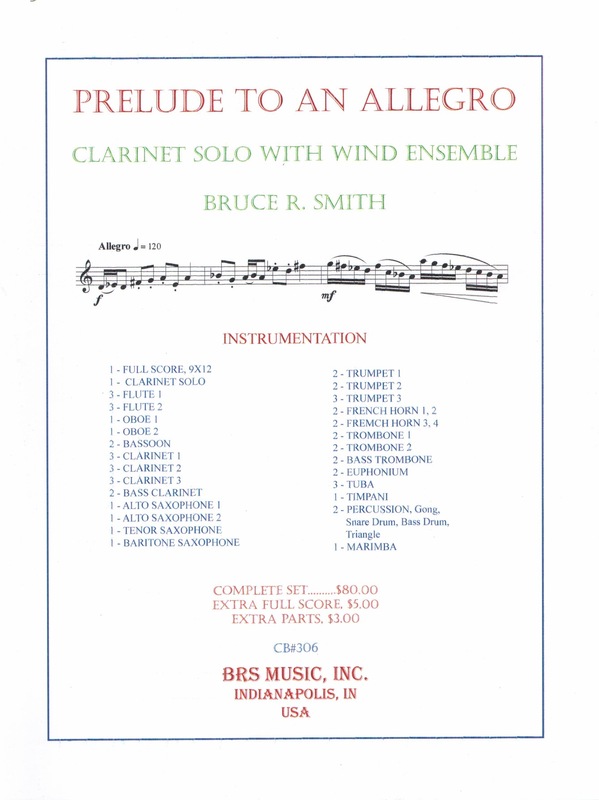 Prelude to an Allegro is a two movement work. The Prelude features tempo fluctuations between a quarter note equals 60 to 120. This pattern of tempo changes continues throughout the movement. The Allegro has a straight ahead tempo of a quarter equals 120. Various scale patterns are contrasted with large leaps. Staccato is featured throughout and contrasts with the legato scale runs. These runs consist of various scale patterns with many utilizing the augmented 2nd interval. The full range of the clarinet is utilized. This is an exciting and energetic movement. This selection is also available for Clarinet and Piano.